using the Amiga in 2018... and beyond! Happy International Amiga Day everyone! What's your today's Amiga activity? Happy Birthday, Mr. Jay Miner! 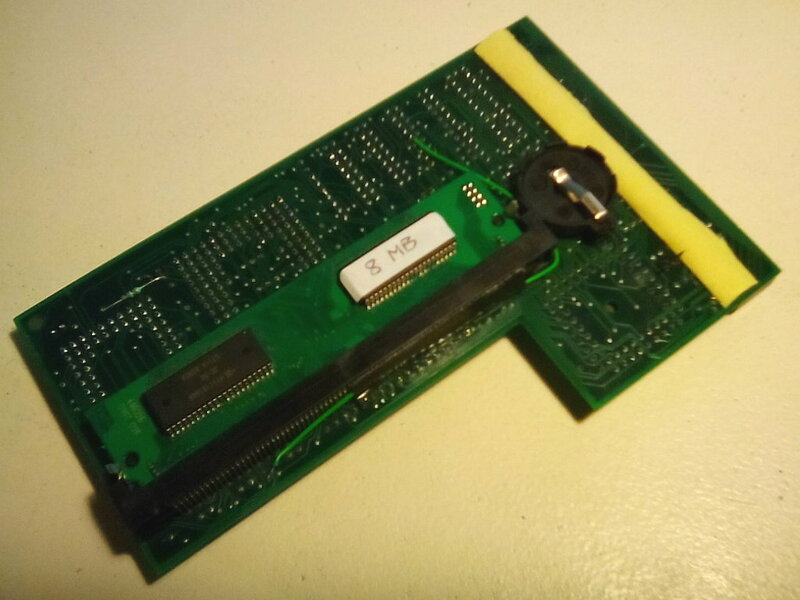 Stephen Leary's TF530 accelerator board for the Amiga 500 is a nice piece of hardware for several reasons. It's low-cost, open-source, fast, has an IDE controller, and a great name. Why not build one youself? Disclaimer: This is not an instruction. Use at your own risk. No responsibility taken for whatever you do. Safety first. Kids, dont try this at home. You need some proper tools, and should have some good soldering experience - SMD parts are really small... And you need some patience and knowledge to find the components. For starters, check the video below, where Stephen shows the first steps in building it "from scratch". "TFV#45 - Building Your Own 68030 Amiga 500 Accelerator - SMD Components"
Now let's see if we can build the TF530 - watch out for part 2 of our series "Building the TerribleFire TF530 accelerator board"! The next step in Apollo / Vampire accelerators development: After the boards have been put into mass production, they're now available from Amiga retailers AmigaKit in Great Britian and Relec in Switzerland! AmigaKit reports that the first batch of Vampire 500 V2's has sold out in just hours - be quick to place your order! 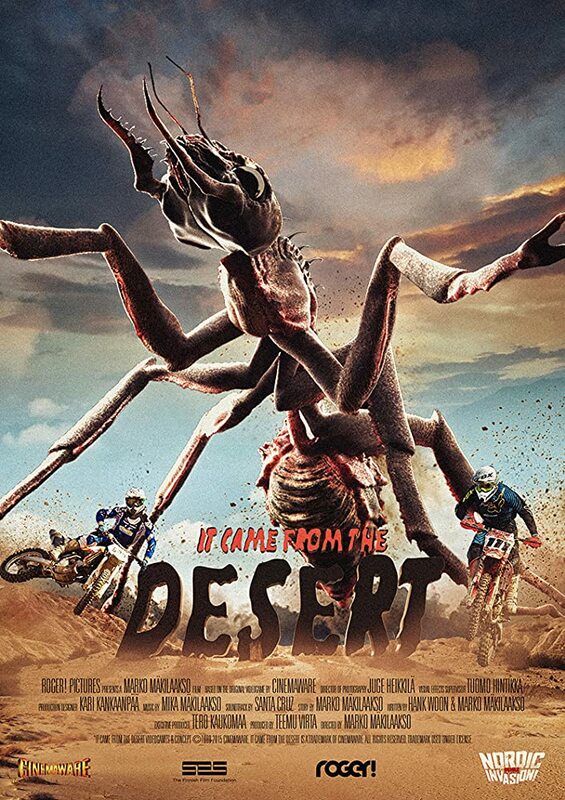 It came from the desert - the movie! Classic 1989 Amiga (later MS-DOS and other platforms) game "It came from the desert" by Cinemaware, heavily inspired by 1950s monster movies like "Tarantula", "The giant behemoth", and especially "Them! ", gets a new treatment as a feature film production! The Finnish production is directed by Marko Mäkilaakso ("War of the dead"). The script is written by Mäkilaakso, Trent Haaga, and Hank Woon Jr., and the film stars Mark Arnold, Claudia Trujillo, Vanessa Grasse, Harry Lister Smith, and Alex Mills, among others. It's currently in post-production, a release date hasn't been announced yet. The trailer - available on YouTube, see below - looks promising, hopefully we get another fun monster movie gem like "Tremors" (1990). 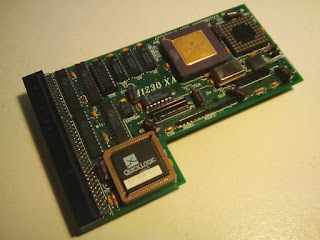 With the Vampire accelerator boards out and in mass production, and AROS gaining momentum on m68k, it has been announced that the Apollo/Vampire team will open-source their S-AGA enhanced Amiga-compatible chipset! This means that other companies can reuse and build upon this new, compatible Amiga chipset implementation without worrying about license fees, copyright holders, or future safety. Yes, it looks like it's finally happening: a new, open-source 68k-Amiga. Munich helps refugees and migrants finding jobs that match their qualifications. "I Created Disco" by Calvin Harris - made on Amiga! Did you know multiple-gold-and-platinum-record-selling artist Calvin Harris not only created Disco, but he created it on an Amiga computer using OctaMED? The album, released in 2007, was a major success, spawning two top-10 singles in the UK, and was certified gold in the UK in 2008. It has an undeniable Paula-feel to it, but the production quality is flawless, modern, and... groovy! Show your appreciation and buy the album! German Amiga software/magazine/merchandise publisher & dealer "APC & TCP" celebrates it's 25th anniversary in May 2017. APC & TCP started out as a fusion of two german computer clubs / user groups, and went on to become a successful and trustworthy publisher and dealer of Amiga products. Happy birthday, APC & TCP! Live long, and prosper! Yesss, it works again. Another gem saved. 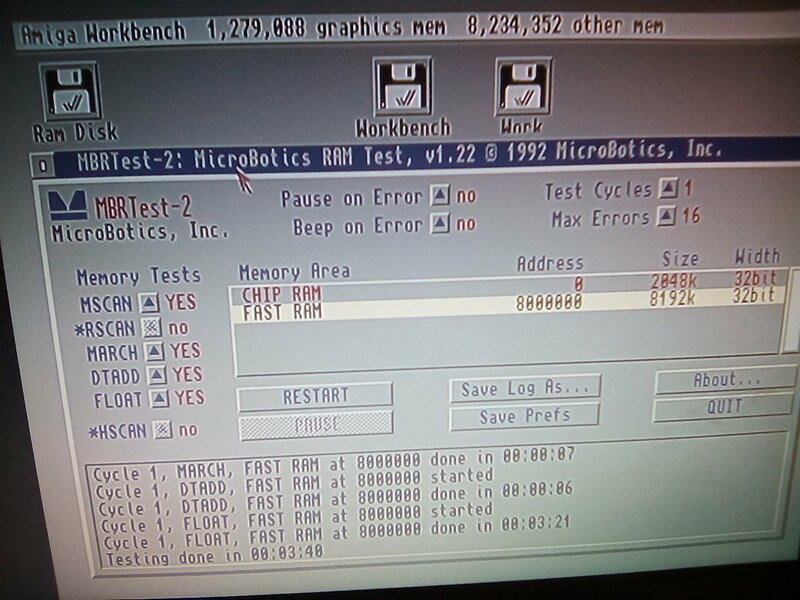 Microbotics' "MBRTest-2" tool from the M1230XA install disk does an excellent job of testing (any) RAM. FastRAM installed on the M1230XA can be tested even without adding it to the system. That way I was able to diagnose the problem, and fix it. The board also got some new capacitors. I have an old Microbotics / Paravision M1230XA accelerator board, and it's not working properly. Can you help me debugging it? For starters, a few screenshots would help: SetXA utility window / running, Early Startup Menu boards listing, "showconfig" output, SysInfo screen with speed test results (each of course with a working M1230XA installed). I mostly test my board with Kickstart 3.0 - are you aware of any issues regarding KS3.0 and the M1230XA? Please leave a comment in the comments section below, if you think you can help. If you want to keep track of my efforts debugging/repairing the M1230XA it's maybe best to watch my "Microbotics / Paravision M1230XA accelerator board information" page. 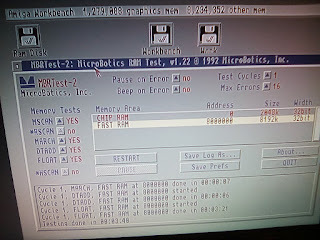 The Microbotics M1230XA seems to work fine without memory installed. With memory installed, adding the memory to the system doesnt work. In the picture below you can see the previous settings ("RAM Speed: 100nsec", ...), new settings("setxa ramspeed 70", ...), and the state after adding the board's memory. After "setxa addmem", it takes maybe half a second to activate the memory. During this short timespan the Amiga remains usable - e.g. 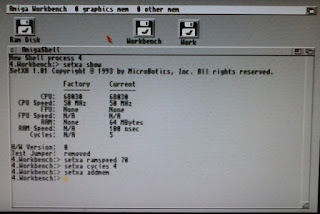 a mouseclick on the workbench. But once the memory has been added, it looks like any memory access fails. That includes (re)focussing the shell-window, clicking an icon. When keeping the shell window active (no workbench click), keyboard input is still possible, but entering a valid command and hitting <Return> crashes the machine. Behaviour is almost the same with different RAM SIMMs/speeds/cycles, only the type of system crash differs: sometimes screen graphics corruption, sometimes black screen, sometimes Guru Meditation. 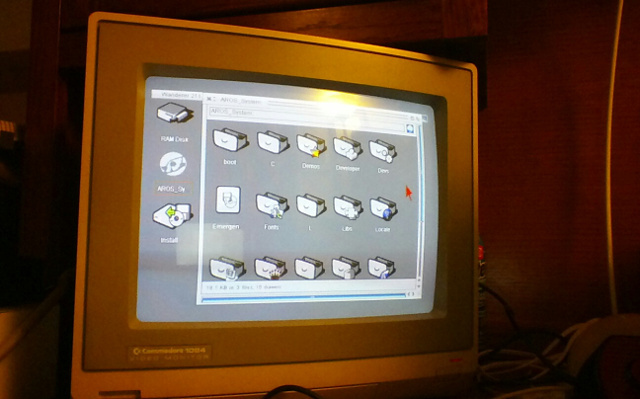 With a Kickstart 3.1 (=autoconfiguring) Amiga 1200 the screen stays black on powerup. [GIMONS] has built a SCSI virtual drive from a RaspberryPi board, for his vintage x68000 computer. Via a minimal SCSI interface on the RasPi's GPIO connector it can serve as a harddisc, or pretty much any other SCSI device you could imagine (MO, CDROM, Ethernet, ...). Building the TerribleFire TF530 accelerator board, part 5: Testing. More testing. And... happiness. Soweit Inhalte dieser Website nicht vom Betreiber erstellt wurden, wurden die Urheberrechte Dritter beachtet und gekennzeichnet. Die Inhalte dieser Website wurden mit größter Sorgfalt erstellt, für deren Richtigkeit, Vollständigkeit und Aktualität kann jedoch keine Gewähr übernommen werden. Nach §§ 8 bis 10 TMG besteht keine Verpflichtung übermittelte oder gespeicherte fremde Informationen zu überwachen oder nach Umständen zu forschen, die auf eine rechtswidrige Tätigkeit hinweisen. Verpflichtungen zur Entfernung oder Sperrung der Nutzung von Informationen nach den allgemeinen Gesetzen bleiben hiervon unberührt. 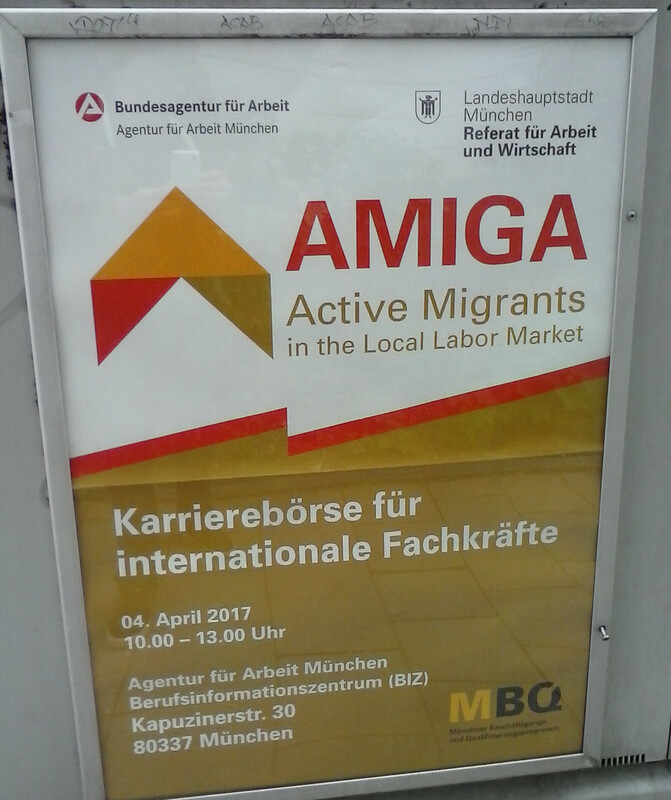 Eine diesbezügliche Haftung ist erst ab dem Zeitpunkt der Kenntnis einer konkreten Rechtsverletzung möglich. Der Betreiber übernimmt keine Haftung für die Inhalte von externen Links. 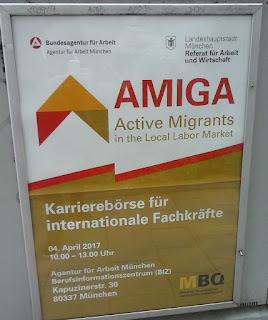 Für den Inhalt von ggf. verlinkten Seiten sind ausschließlich deren jew. Betreiber verantwortlich. Bei Bekanntwerden von entsprechenden Rechtsverletzungen werden die jew. Inhalte bzw. externen Links umgehend entfernt.